Whether you are a business or a charity or a community-based group, your website should work for you. 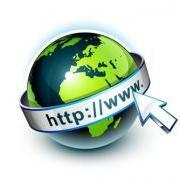 It should attract attention and web traffic and with it vital information about the visitors to your site. At Simpler solutions we understand how the web works for business and communities and how to solve your website needs, whatever they might be. We pride ourselves on providing website solutions that are jargon-free and precisely inline with your goals. This starts with a thorough assessment of your needs and a non-technical and independent summary of the best solutions that are available to you. Once we have identified and agreed a solution we can work together to deliver it in as quick and as efficient a manner as possible.